• Parking extérieur gratuit disponible sur place. • Options de séjour flexibles (court ou long terme). Nous avons hâte de vous entendre et de répondre à vos questions. Fantastic place to stay! Beautiful house with many upgrades. Fun, trendy area to explore! Clean, exactly as expected, good communication. This was a nice place to stay. Quiet neighborhood with good walking access to lots of great venues. The house is well outfitted if you want to stay in and cook your own. Very clean with a good bed. 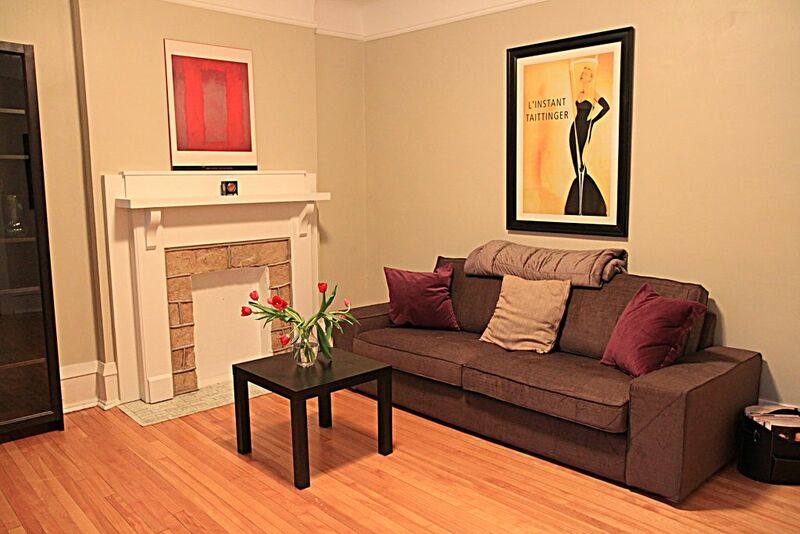 This property represents good value for anyone staying in Ottawa. It is well situated in the trendy Glebe district on a quiet residential street. Close to lots of shops and restaurants and only a few blocks walk down to the Rideau canal. The pictures present the property as it is, although some of the living room furniture is now a bit tired. The kitchen is huge with a separate dining area and has everything you'll need, with the possible exception that a few more dishes could be added. The real gem is the very private, beautiful patio in the back yard. It is private, bordered by large ferns and protected by an amazing canopy of maples and assorted other towering trees. There is a nice 6 seat patio set with umbrella. The bathroom is nice and the bedroom has a good mattress; it was comfortable. The only negative was that you're on the main floor and there are two apartments above you, so at times you could hear people walking above you - one night at 2:30 a.m. Otherwise, it is quiet and comfortable. There is a/c, which is a must for humid Ottawa. The controls are upstairs, so at times things got a bit chilly; however, the owner was always a text away and very responsive. We locked ourselves out and she made special arrangements to get us back in, so any issues you have will be promptly dealt with. This is a great find for any visits to Ottawa. Ideal location, parking, well-equipped kitchen, a lovely place to stay. We'll be back! Providing many amenities, well stocked kitchen, plenty of storage; close to interesting boutiques, food and curiosity shops in the Glebe. The unit was quiet and clean. This is a great location to see all Ottawa has to offer. We recommend a stay at this lovely spot.